In 1840 much of the area now known as the Town of Ellington was densely covered with pine timber, some of the trees measured 5 feet on the stump. Bear Creek was a good flowing stream sufficient to operate a saw mill, so a saw mill was built on Bear Creek about 1 mile upstream from its junction with the Wolf River. The mill was owned by William Bruce, operated by G. D. Aldrich, and was known as "Bruce's Mill". In 1848 and 1849 sawed lumber was hauled through the woods in a south westerly direction for about 5 miles to build Horton's Mill - now Hortonville. The trail became known as the Hortonville Road, now MM. Additional settlers arrived in 1849, among them Henry Kethroe, Patrick Pew, Owen Handy, John Rynders, Charles Grunert, and Fredrick Lamm. In 1850 only 2 houses were at "Bruce's Mill", one a log house and the other a frame house built by William Bruce. On March 12, 1850 the supervisors of Brown County created a new town made up up 3 Congressional Townships 22, 23, and 24 North, Range 16 East to be called Ellington as requested by John Rynders. This was to be named after the town he left in western New York state. Prior to that Ellington was part of Grand Chute. They voted to raise $300 to cover expenses, 7 mills on the dollar to cover roads, and 3 mills for schools. Beginning with 1850 the area settled rapidly. J.D. VanVlack opened a store at Bruce's Mill, and he also taught school. In 1851 a weekly mail route was established between Green Bay and Portage, with Post Offices at Freedom and at Bruce's Mill. The 105 mile trip was made on foot and required a week of travel. Religious meetings were held in homes before the schools were built. The first Protestant service was held at the home of Stephan Mason and the first Catholic service was held at P.H. Pew's. William Bruce sold his sawmill to Mr. Thompson, who then sold to Stephan Mason, who sold to John Stephens in 1856. 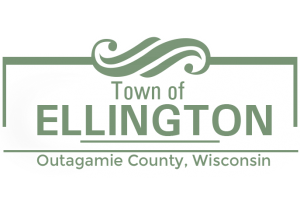 It was announced that a village would be laid out in the Town of Ellington and the citizens were asked to vote on a name. 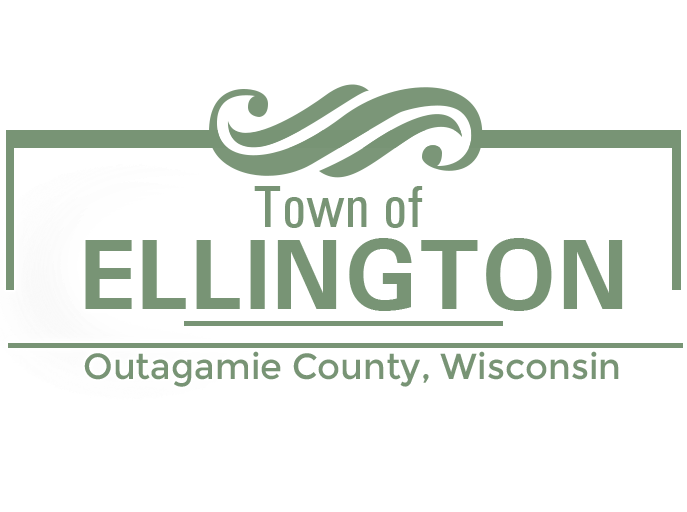 The name "Ellington Center" was chosen, but did not last long. The local citizens petitioned the Town Board with 49 men's signatures to change the name from Ellington Center to Stephensville, after John Stephens who owned the saw mill and grist mill. In 1857 Stephensville had a saw mill, grist mill, a good school house, two taverns, two stores, and some other businesses. In July of 1863 diphtheria raged fatally in the Town of Ellington. Many children and even adults died in spite of doctors and good care. It was noted that in May 1864 there never was so much sickness in the River Valley. The mortality among children was enormous. Diphtheria and various lung complaints were the diseases. The cause was not known, but was possibly due to the severity of the previous winter or the drought of the summer. By 1867 the Village of Stephensville was growing very rapidly. It had 2 saw mills, a grist mill, several stores, and an excellent hotel operated by Willian McGee. The German and Irish settlers were enterprising and industrious and united in building a Catholic Church. It was claimed that 1867 and 1868 more business was conducted in Stephensville than in Hortonville. The first doctor in Stephensville was Doctor Tabor, who arrived just after the civil war. The lumber industry developed in the upper regions of the Wolf and Shioc Rivers, and the route through Ellington - both the river and the trail - became a much traveled highway. The entertainment afforded in Stephensville made it a favored stopping place. Any night an impromtu dance or party could be arranged.